England’s women have a new captain this season - Steph Hanratty was announced in February as the successor to Gina Iaquaniello, who has stepped down to fill more of a management role, but will still represent the team. "It’s an honour to take over from Gina,” said Hanratty. “She has been the driving force behind the womens' team and I am really looking forward to what the future has in store for myself and the squad." “Gina’s been a tremendous captain during such a successful period, being a driving force on and off the pitch,” said England Deaf Rugby Union Head Coach Sean Fletcher. Hanratty will become the programme’s third captain, following Iaquaniello and Debbie Challoner, and had the full endorsement of Women’s Coach Ben Mousley as she stepped into the post. The rules of deaf rugby do not differ at all from rugby union. The two men’s teams faced each other in January in the first of the two Tests. 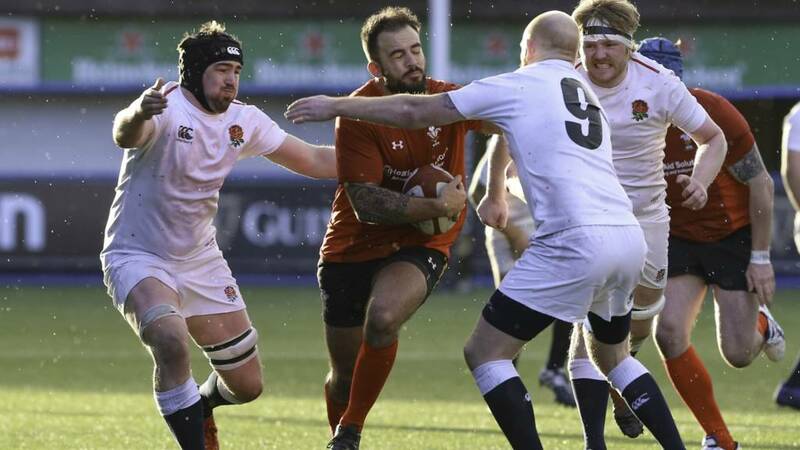 England were beaten 29-11 in Cardiff with tries from Sam Gallagher, Ken Dowding, Rob Mills and Ben Fulton. The women’s team will take on Sale 1861 Women at Sale FC. Their last international outings were away against Bulgaria in September, with the team picking up a win and a draw from their two games. The BBC will have live coverage on BBC Sport online and Connected TV from the two matches in Sale – and all of the action will be available to view again via the BBC iPlayer.